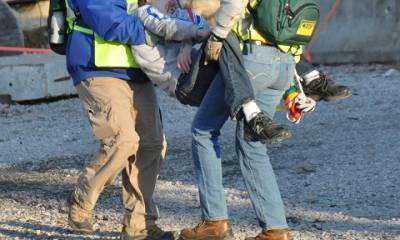 Lexington’s Division of Emergency Management has an active Community Emergency Response Team or CERT. 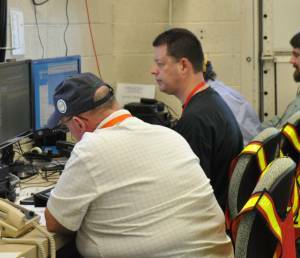 With nearly 300 persons on the CERT roster, these volunteers are trained in first aid, light search and rescue, firefighting and other skills valuable during a community emergency. 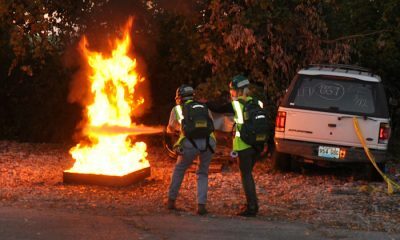 CERT volunteers would assist in their neighborhoods and other areas until police, fire department and other first responders arrive to provide aid. Eugene McCord has been a CERT volunteer since September 2005. In addition to CERT, Eugene also serves as the Voluntary Organizations Active in Disaster (VOAD) lead coordinator, along with his wife, Gail. Eugene and Gail have been first on-scene at many automobile accidents. 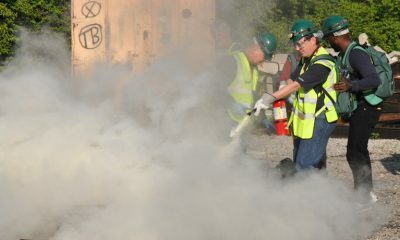 Their CERT training allowed them to provide aid until police and fire department responders were able to arrive. When not involved with CERT, Eugene and Gail volunteer with the Citizens Fire Academy Alumni Association and the American Red Cross. 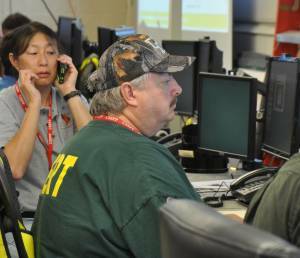 Communications is a large part of any emergency response effort. CERT volunteer Steve Adams is in the thick of the emergency management communications effort. As an Emergency Support Function Two (ESF-2) coordinator, Steve is one of several volunteers who handle two-way radios, landline, cell and satellite phones and other communication channels necessary during an emergency response. For Steve, being prepared for emergencies took some time to learn. Steve completed CERT training in Spring 2013. At work he’s known at the “survival guy”. When he’s not preparing for the zombie apocalypse or another disaster, he spends time with church members and his family. For fun, Steve target shoots and teaches self defense courses.